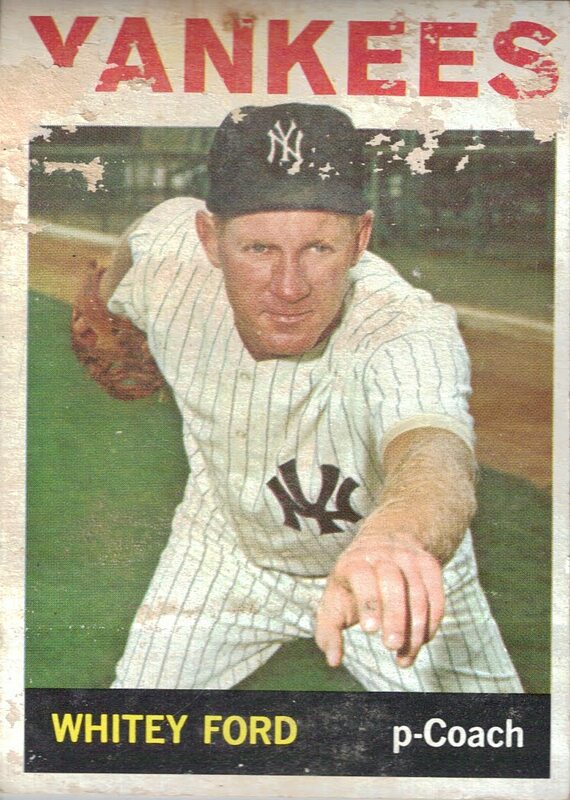 Whitey Ford was a 10-time All-Star selection and six-time World Series champ as the Yankees’ ace in the 1950s and ‘60s. The “Chairman of the Board” still holds World Series records for wins (10), innings (146) and games started (22). As you can see, this is one of the more damaged cards of the collection. OK, so the book value goes down, but do you really think I care about that? What a picture!